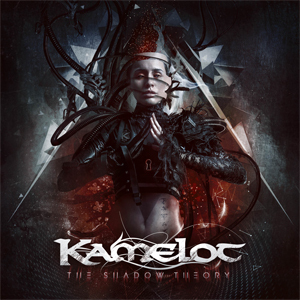 After releasing the title of the upcoming KAMELOT masterpiece and very first shows of the The Shadow Tour in the Netherlands, Norway and the UK, it's time to take the next step in support of The Shadow Theory! "The Shadow Theory album is a psychological journey through the complexity of the Human Mind. We are subjected to stimuli constantly through media, technology, social experiments and AI. Can we still be social creatures in the near future? The Shadow Theory is an album that is mixing many worlds, giving the listener an Escape within our own realities. This album was written and recorded over the entire year and we are really proud of the song elements and diversity on The Shadow Theory." Now a first and exciting album teaser has been released, get your ears and eyes on it below.